After realizing that writing was his native language, Lindo set out on creating a novel. Eventually he realized that it would be 'impossible' to make a career out of it - discarding his dream. It wasn't until he began writing for Anime Expo's news site, Inside AX, that he would discover the multitude of routes that journalism holds. Since that time, he's reclaimed his dream and has continued to hone his skills in the art of literary. While covering conventions, he found an additional art-form that he would fall in love with -- photography. Now the journey truly begins for our young warrior. On Friday, the official representatives of the Date a Live Twitter account announced that the popular Date a Live sci-fi series is currently in production for a theatrical release. Further details on its release and plot hasn’t been revealed at this time. On a second note, Space Dandy‘s second season is just a few weeks away from it’s return to television–or space–come July 5th. In order to further hype and excite fans of the series, Bandai Visual has uploaded a full minute and a half commercial, along with a short fifteen-second commercial to promote the show. Based on the commercials alone, the animation quality seems to have improved. As for what crazy adventures Dandy will get himself into this time, only time will tell. 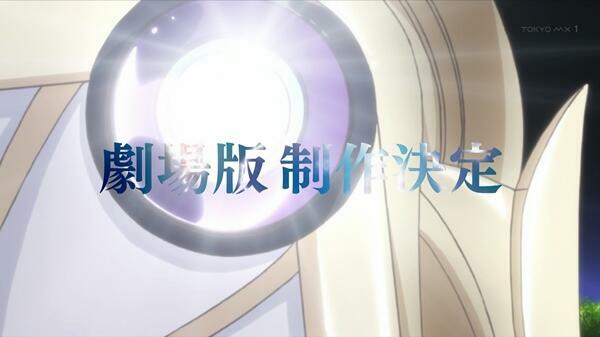 Are you excited for Dandy’s return, along with the Date a Live movie announcement? Let us know! Fans of the classic Astro Boy series may be excited to hear that Monaco’s Shibuya Productions, Japan’s Tezuka Productions, and France’s Caribara Animation is in the midst of creating a new anime series revolving around Osamu Tezuka’s Astro Boy. Will “Dragon Ball Xenoverse” Turn Out to Be A Huge Disappointment? In 2014 alone, there have been two Dragon Ball games released: Dragon Ball Z: Battle of Z (January), and J-Stars Victory Vs (March). But if that’s not enough, Bandai Namco recently announced yet another game to the franchise — Dragon Ball Xenoverse. Two of the most praised anime series of the shōnen and shōjo genre are undoubtedly Dragon Ball Z and Sailor Moon. The two classic shows grabbed the hearts of millions in the 90’s, along with being “the anime” that influenced a vast amount of individuals to become dedicated fans of Japanese animation. It’s quite possible that Crunchyroll has hit the record for the most anime simulcasts in a given season. The legal streaming service for anime & Asian drama was able to gather a total of 34 new anime simulcast titles, not including the 10 ongoing series that will be carried throughout this season. Every aspiring comic book author dreams of having their manga recognized by industry leaders, but to most, it’s a dream far from reality. But thanks to the supportive side of Attack on Titan mangaka Hajime Isayama, one author’s dream came true. Was “Pokémon Omega Ruby” & “Alpha Sapphire” Announced Too Soon? On Monday morning, Nintendo shocked the web by announcing the all new Pokémon Omega Ruby and Pokémon Alpha Sapphire game, scheduled to release worldwide for the 2DS & 3DS in November. The result? Social media explosion. News outlets were on it, Twitter couldn’t get enough of it, the Pokémon Facebook fanpage acquired over 19,000 “shares,” and the teaser received over 1 millions views. If you’re an avid gamer, anime fanatic, or simply enjoy cartoons, chances are you’ve heard the voice of American VA Steve Blum. Hiro Mashima, creator of Fairy Tail, is one of the few popular mangaka‘s from Japan to utilize Twitter in order to interact with his fans. 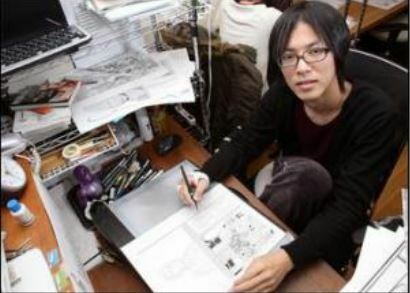 Mashima has tweeted well over 3,700 tweets, and has submitted a multitude of sketches.